The coolest spy from the 1960's is thawed out in the 90's to stop Dr. Evil's outrageous plot to control the world. 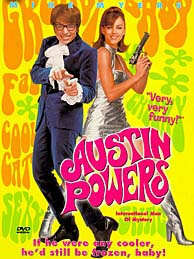 Director Jay Roach's "Austin Powers" is a fun, comedy-adventure 60's spy spoof.